Text Publishing Company, 9781925773040, 196pp. Athena and Dexter Fox lead a contended family life. Dexter is gregarious and opinionated. Athena runs an ordered household. They live in Bunker Street with their sons, Arthur and Billy. Billy's autism is a focus for their attention and efforts, yet life is fairly peaceful. But the arrival of Dexter's old friend Elizabeth, with her three charismatic companions, reveals the existence of a different world. One in which contingency and choice play a far greater role. The collision between these worlds will test everything that has held the Fox family together. In this powerful story, painted on a small canvas and with a subtle musical backdrop, Helen Garner acknowledges the magnitude of everyday decisions and their consequences. 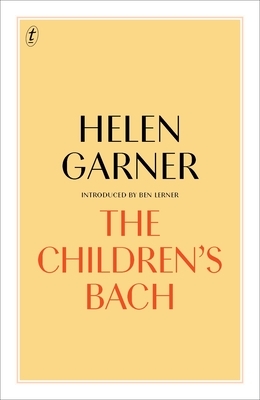 The Children's Bach is Garner's second novel. It won the SA Premier's Literary Award. First published in 1984, to critical acclaim, it has never before been available in the United States. Helen Garner writes novels, stories, screenplays, and non-fiction. In 2006 she received the inaugural Melbourne Prize for Literature. In 2016 she won a prestigious Windham-Campbell Prize for her non-fiction. Her book of essays, Everywhere I Look, won the 2017 Indie Book Award. Ben Lerner is an American poet, novelist, essayist, and critic. He has been a finalist for the National Book Award, and is currently a MacArthur Fellow.